1. 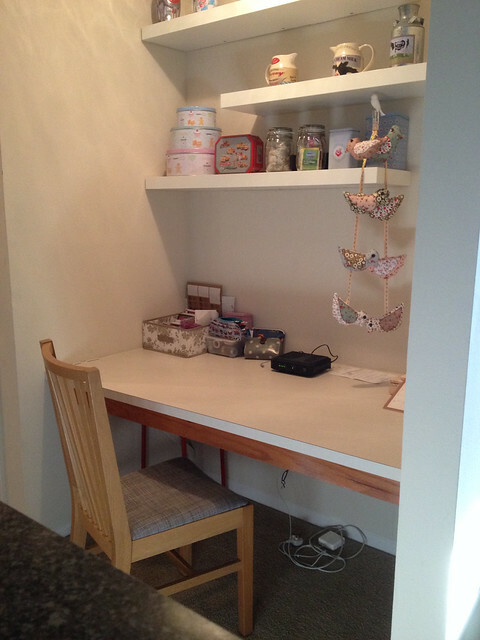 I set up the little alcove as a desk with a few of my craft bits there too. I’ve kept the laptop here for most of the week which has minimised the time I waste browsing all sorts online! 2. 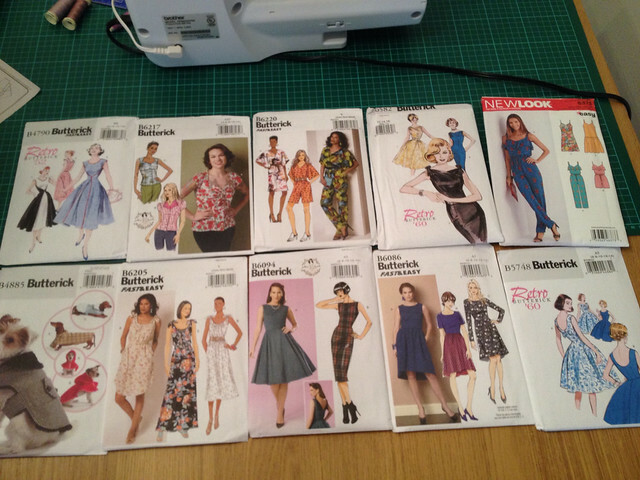 My patterns from the Butterick sale arrived, plus one New Look pattern for a jumpsuit. Unfortunately, I will be jumping into July rather than June! 3. 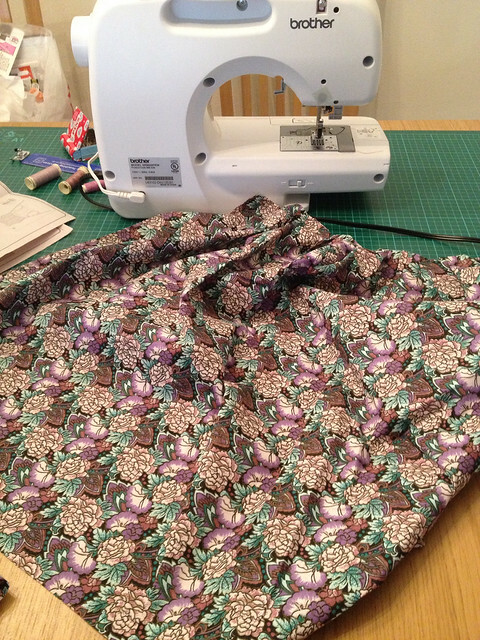 I finished my 1873 dress 🙂 Blog appearing soonish…as soon as I get some photos of me wearing it! 4. I found a little lump on Maisy’s spay scar, which turned into a big lump. The vet had said that she had reacted to one of the internal stitches. Poor Maisy! The lump burst when we got home and looks to be healing nicely so no major worries or vet bills! 5. 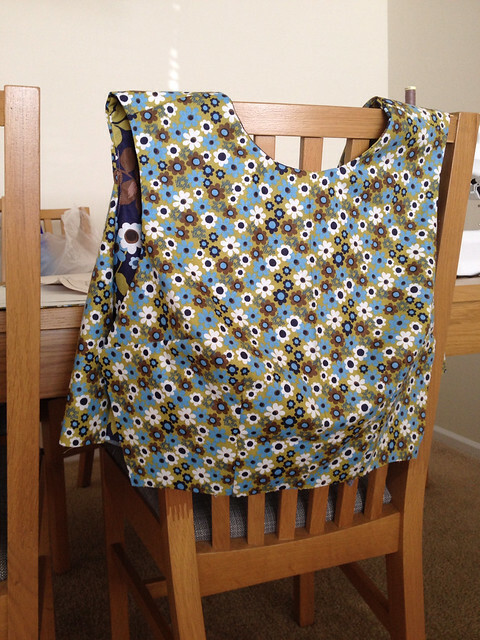 My next make is the Simplicity 2215 but I can’t progress any further until I have some interfacing & a zip. 6. 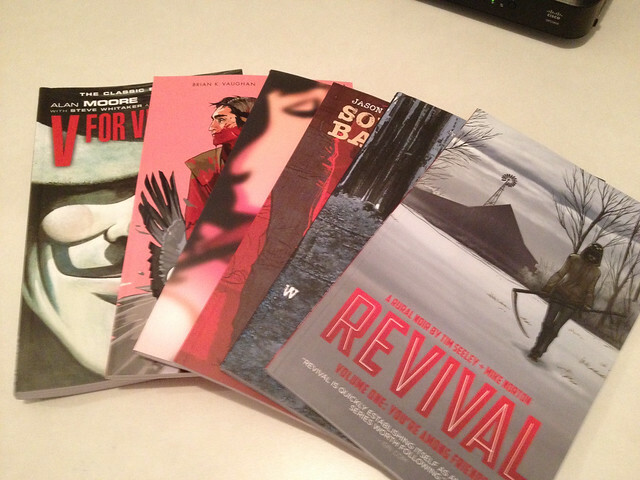 I ordered some graphic novels! I’ve only just started reading them and really enjoy them. I’ve held off buying them until they were reduced and tried to pick ones that Adam might enjoy too. 7. 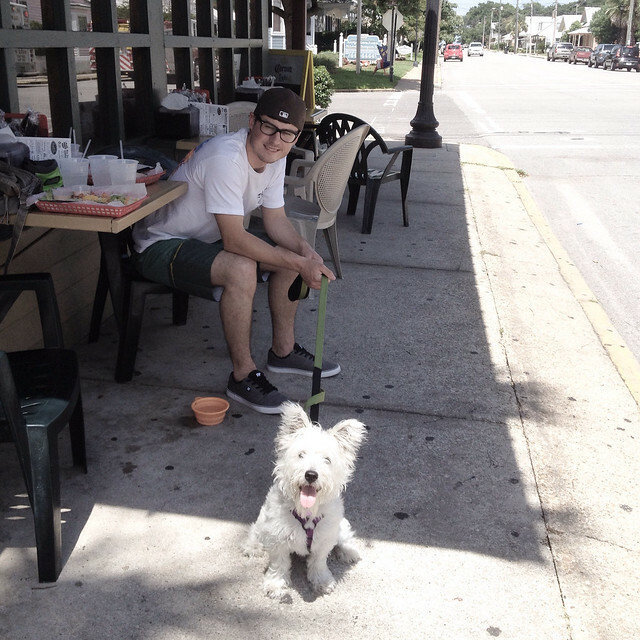 We drove over to downtown Pensacola to have lunch outside a bar with Maisy. She was much better than the last time we took her out and even made friends with another westie…who was extremely well behaved! Poor Maisy! I’m glad she’s doing better now, but she looks so resigned to the Cone of Shame in her photo. I haven’t read “Saga” yet, but my partner liked it and just got the sequel. Enjoy your new books and patterns–looks like you have plenty to keep you busy! She sulked as soon as I put it on her 😦 She’s been poorly again today… I think we’ve done well with her though as she’s got to 7 months without being ill! I enjoyed Saga & now have volume 3 on order….I think I need to get used to how ‘graphic’ these graphic novels can be though 😳😳 ha! This week has gone by quickly!! That’s so cute 😀 I totally understand not wanting a doggy dog lol I’m like that too! 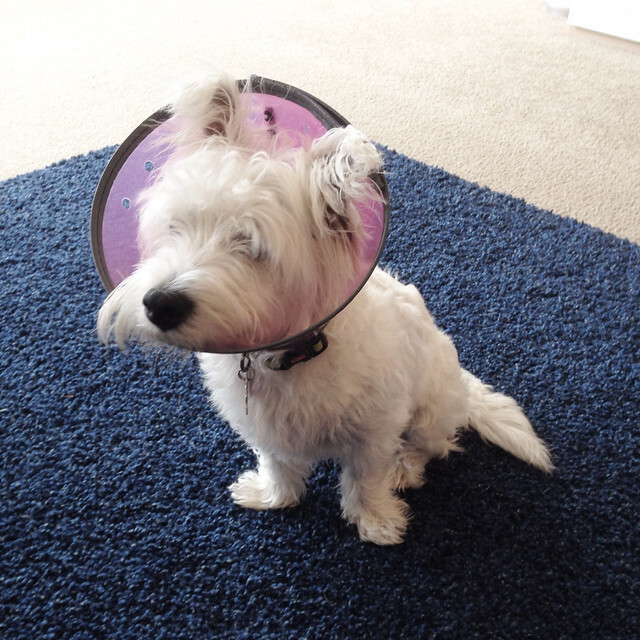 Poor Maisy, how is she coping with the collar? All those patterns – wow! You’re going to enjoy working your way through those!